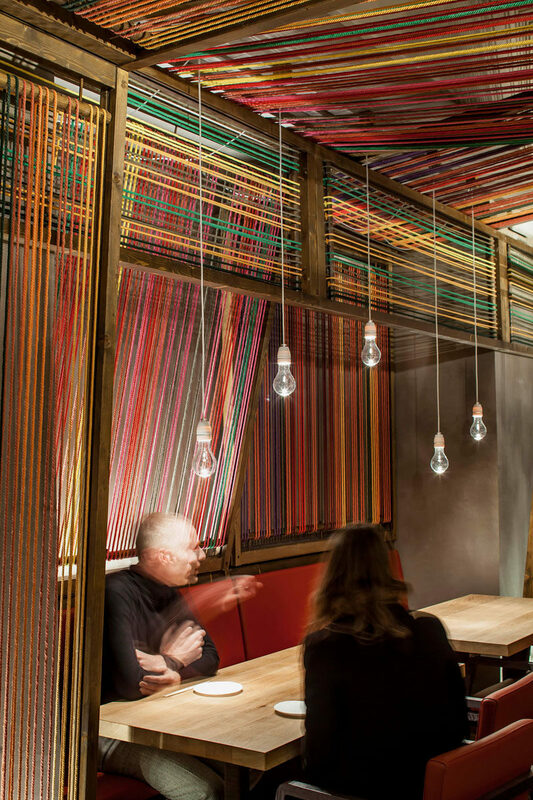 Lucas Echeveste Lacy, Oliver Franz Schmidt and Natali Canas del Pozo of El Equipo Creativo, have designed the Pakta Restaurant in Barcelona, Spain, that features an interior with brightly colored ropes. 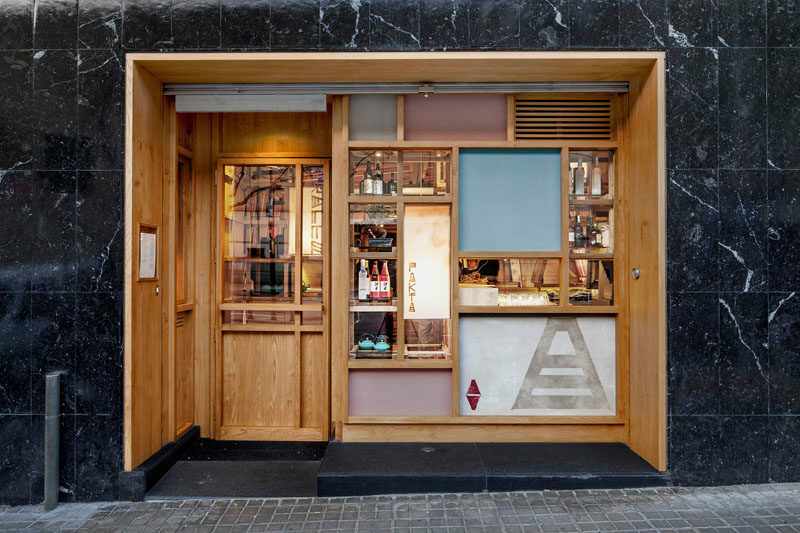 In the Quechua language of Peru, “Pakta” means “union”, and in this case, the union of two cultures, Peruvian and Japanese, and their respective cuisines. 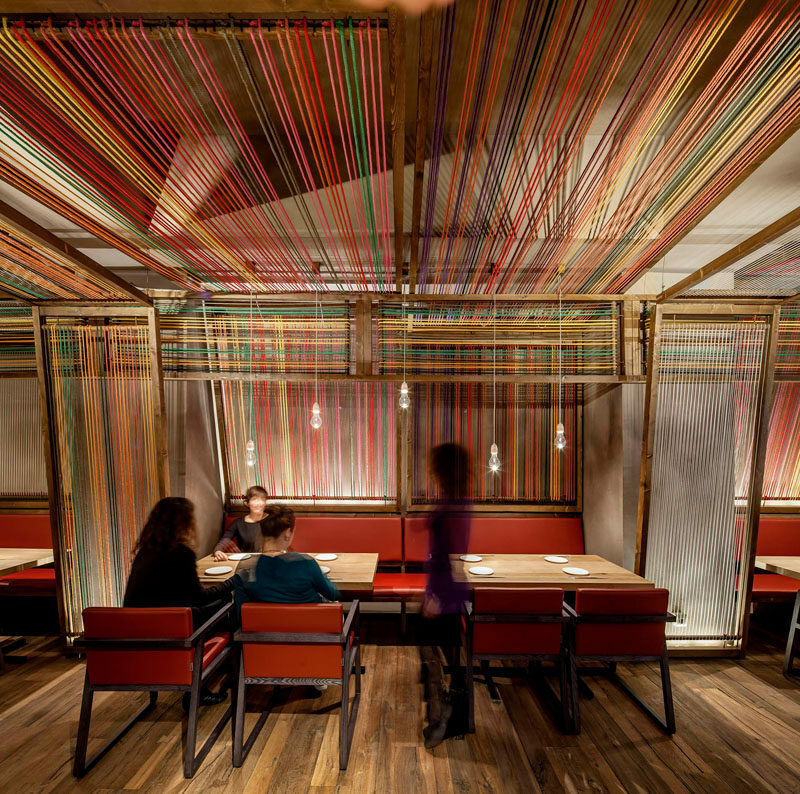 Inside the restaurant, the brightly colored ropes that wrap around the restaurant evoke a sense of Peru, with the different layers and wooden frames representing the Peruvian loom. 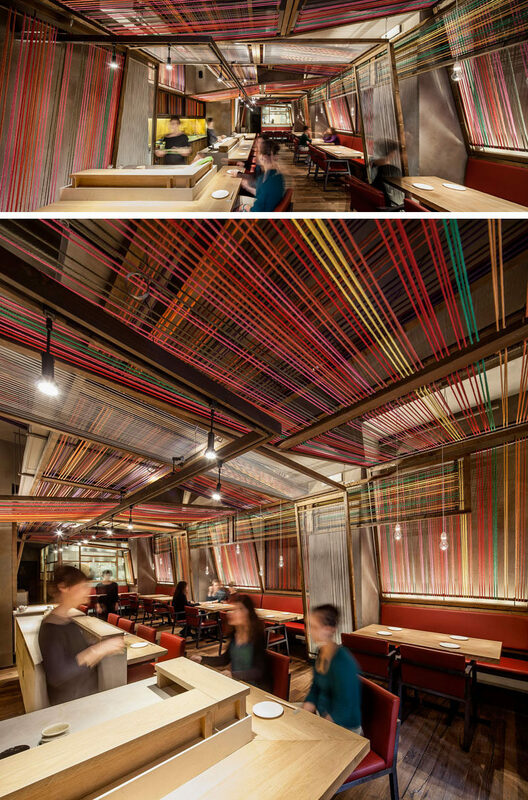 The Japanese inspirations of the restaurant are seen in the bars, the kitchen, and the furniture, with the simple and minimalist furnishings that are a clear reference to the architecture of traditional Japanese taverns.